It’s a good idea to periodically get appraisals for your jewelry. An appraisal provides you with information to protect your financial investment. With an appraisal in hand you can determine if you have adequate insurance coverage. Jewelry appraisals also give you an idea of fair market value if you want to sell antique jewelry or sell estate jewelry. We can provide written appraisals if you can leave your items for a few days. A certified GIA graduate gemologists will need time to inspect, document and photograph each piece. Jewelry appraisals carefully consider the attributes of diamonds, gemstones and precious metals. Antique and estate jewelry appraisals are often challenging. Firstly, these pieces are unique and cannot be perfectly reproduced. Additionally their uniqueness makes their market value very subjective. Antique jewelry often has old mine diamonds and truly hand crafted designs. These pieces are individual works of art and need a trained eye to provide a fair assessment of value. Our jewelry appraisers can discuss with you the many variables that affect the value of your vintage jewelry. Sometimes it just makes sense to sell diamonds or sell gold. 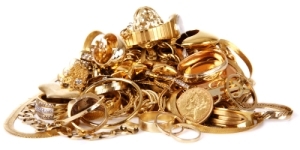 We buy single pieces and large estate parcels of gold, diamonds and jewelry. We typically sell to only industry wholesalers. We are ethical gold buyers and diamond buyers. We use a formal process to determine the value of your items. We also use our decades of broker experience to determine the best possible price we can pay for your items. We offer private broker services when discretion is appropriate and requested. Our goal is to serve our customers in a professional manner, and meet all reasonable expectations.